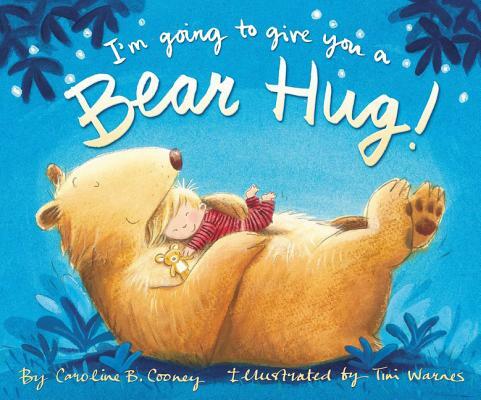 I'm Going to Give You a Bear Hug , written by bestselling author Caroline B. Cooney, is a playful and comforting bedtime book that imagines all the wonderful ways a child might give and receive a hug. Whether it's a big bear, gasp for air, knock over a chair hug or a wet and drippy, slimy, slippy fish hug, children will giggle their way through all the imaginative examples. Cooney's sweet and simple rhymes encourage playful interaction between parent and child and ultimately help them wind down before they snuggle into bed and drift off to sleep.